Finlays Horticulture, a supplier to M&S, are moving away from using synthetic pesticides, in response to increasing concerns over the effect they are having on the environment. 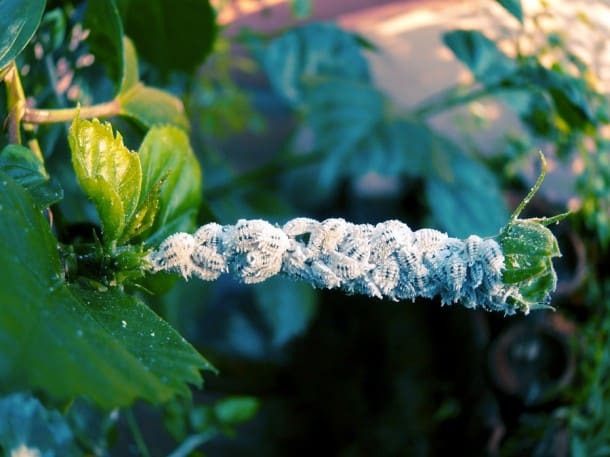 With insects becoming more resistant to synthetic pesticides as well as the unknown effects that they may be having on farm workers and consumers, an alternative was needed. In 2001 there were very few biological products available and Dudutech was started to develop biological products and create an integrated pest management strategy (IPM). Dudutech pioneered IPM in Kenya, finding and developing local strains of beneficial organisms, and innovative methods of application. Taking the lead in this area, Dudutech has grown into an organisation employing more than 210 people, producing 17 products, and has successfully developed biological, physical and cultural methods to replace many traditional pesticide treatments. Identifying that over 60% of insecticides used in flowers were to control the spidermite, Dudutech introduced a voracious predatory mite called Phytoseiulus persimilis to reduce the need for mite control pesticides. At Finlay Flowers South Africa, Phytoseiulus has reduced the level of synthetic pesticides used to combat spidermites to zero, and all 21 hectares of chrysanthemums are fully under this system. At present 90% of Finlays Horticulture’s farms only use biological methods to control spidermites and 100% of the area is under some form of IPM. Recognising that a healthy soil grows a healthy plant, Dudutech has developed a wide range of beneficial soil organisms that are used on all Finlays Horticulture Farms. This has resulted in a further reduction in synthetic pesticide and fertilizer use, together with increasing soil biodiversity in line with the Finlays’ motto of long term sustainability. A great example of ‘Environmentally Intelligent Farming’ in action!